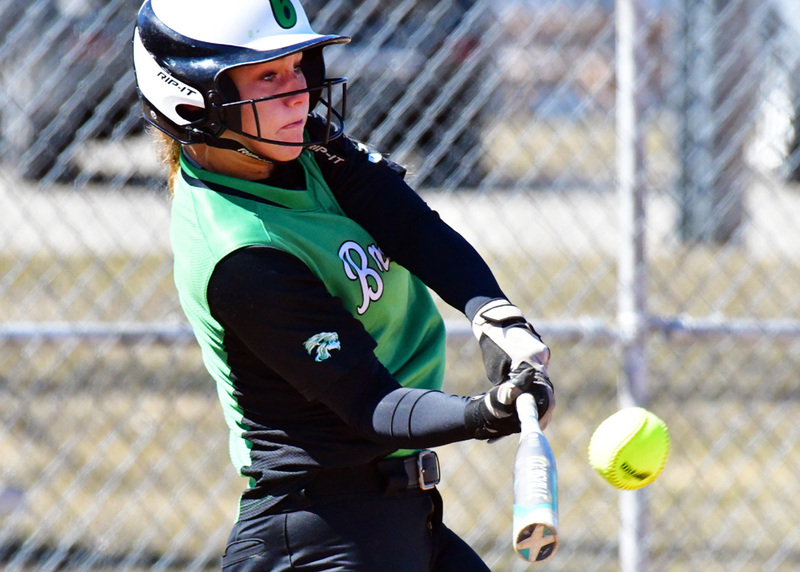 BREMEN – A 12-2 Bremen softball win Saturday afternoon over NorthWood might have looked like a typical mash and bash for the defending Class 2-A northern semi-state champs. For those watching from the NorthWood perspective saw a few minor details make a huge difference in what amounted to the lopsided season opening loss. The game, which was originally scheduled to be played at Stauffer Park in Nappanee, was moved at the last minute because of unplayable field conditions. The shift to Sunnyside Park in Bremen gave the Lions, which still batted as the visiting team, a huge advantage. Bremen went 13-1 a season ago at home, and were swinging for the fences from the outset. NorthWood pitcher Madison Miller struck out five in the complete game. NorthWood head coach Mandy DeMien decided from the outset she would go after Bremen’s big hitters, including bomber Erin Coffel. That decision backfired in the first inning when Coffel crushed a 3-1 pitch over the fence for her first homer of the season. Coffel, a University of Kentucky verbal commit as a now junior, smacked a state-leading 22 homers as a sophomore. It wasn’t entirely surprising to see Coffel go yard, but Bremen’s big boppers would strike again. Back-to-back singles to Rylee Hershberger and Coffel in the third had Miller in a hole. Trailing 2-0, Miller got a groundout from Caitlin Traxler, but left a pitch in the zone that Kaelyn Shively crushed deep to left and out, putting the Lions up 5-0. 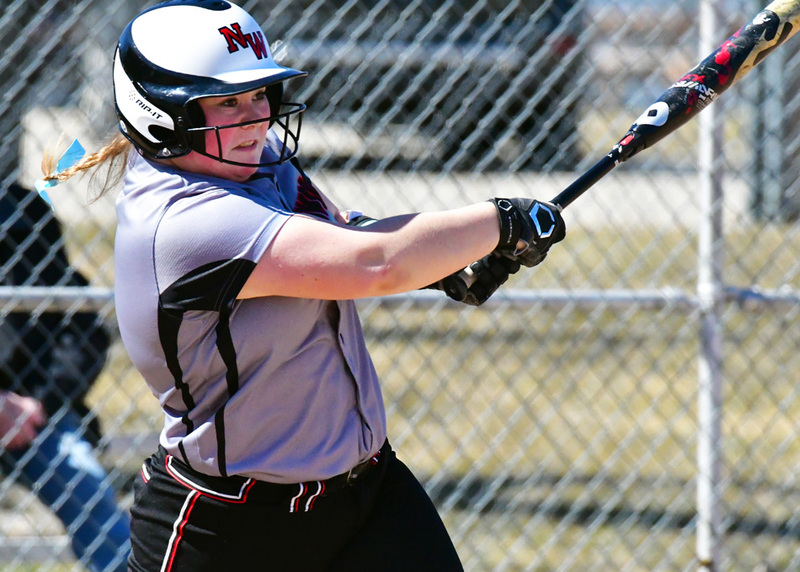 A misplayed ball in the NorthWood outfield with two outs in fifth kept the inning alive that allowed McKenna Myers to dial in on a Miller offering and send it over the fence. The third homer of the day for Bremen made the score 8-2 and all but academic, NorthWood only putting three runners on after that smash while Bremen pushed across four more runs in the seventh to finish out the scoring. 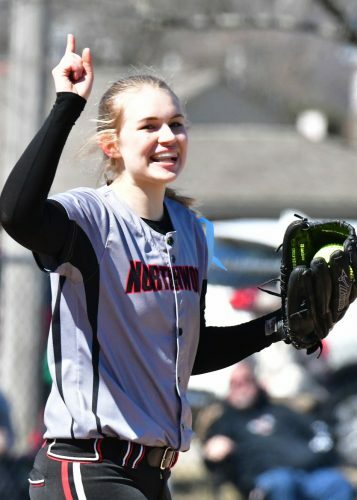 While the 10-run margin looks bad on paper, NorthWood had the tying run on third in the first, were down just three going into the fifth, and saw Miller throwing pretty good ball for what was, per DeMien, the team’s first full day outdoors. NorthWood cut Bremen’s lead in half in the bottom of the first when Kennedy Hochstetler doubled and came home on an RBI single from Lili Lomeli. After a wild pitch moved Lomeli to third, Bremen got out of the jam when catcher Carly Snyder gunned down Cybil Stillson trying to steal second. Thornton scored NorthWood’s other run in the third after she singled and came home on a pair of passed balls. NorthWood finished with five hits in the game. Bremen, on the other hand, had 10 hits. Coffel was a pain throughout, finishing with a homer, double off the base of the fence in the third, two walks and four runs scored. Traxler, Shively and Snyder all scored a pair of runs in the win. Miller finished with five strikeouts for the Panthers. Shively and Traxler combined to strike out four for the Lions. NorthWood (0-1) will get plenty of time outside next week, with three games ahead of its Spring Break. NorthWood visits Tippecanoe Valley Monday, then takes on Fairfield Tuesday and Lakeland Thursday in hopeful home contests. Brooklyn Troyer takes a cut against Bremen.